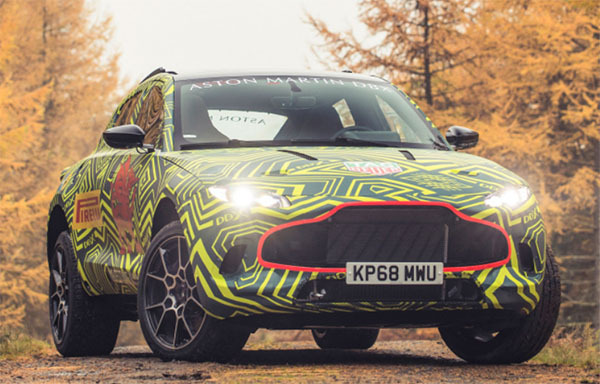 Burlappcar: All new Aston Martin DBX SUV. Of course, this is the final insult. Another blasphemous move from a luxury brand. But after seeing how much money Porsche, Lamborghini, Bentley and even Rolls Royce are making selling SUVs, who can blame them, really. Money seems to be the only drive these days. At least it looks a bit weird. Which could end up being a little bit interesting and have some personality? 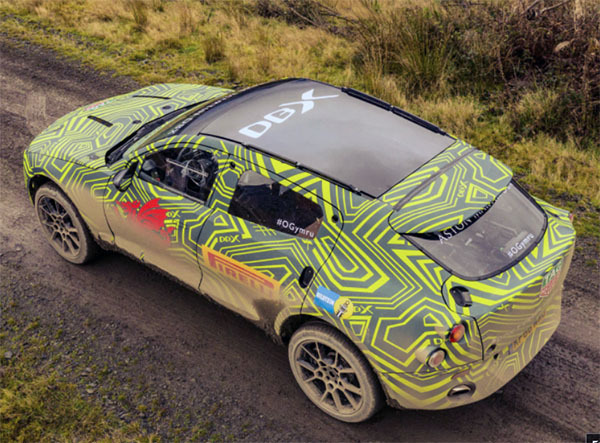 These are official pictures from Aston Martin, show the DBX prototype do what future owners will never do: get it dirty in the mud. That's why a business exists. Not to be something like the vanity press. For years the company was a rich play thing for bored millionaires. Then Ford and this crew have invested tons of money. An IPO worth $5.6 billion. As you feel that this is horrifying, please explain how you'd do it. I'm sorry, but I love that paint job.... 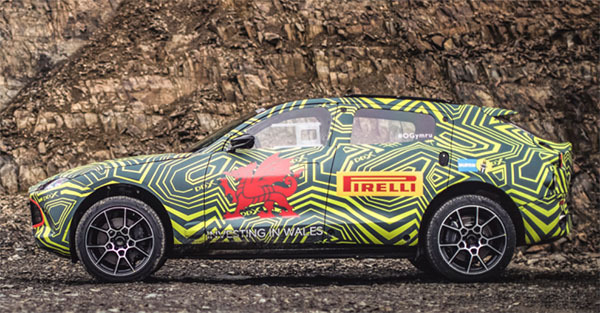 It looks like the embodiment of "fun" - a big high performance toy! Unfortunately, once it arrives in production garb it will boring and just like all the others in Platinum Gray or Black. My hope for these high performance SUVs (or crossovers, more accurately) is that they would rekindle the 60s rallying style, and be fun to toss around on windy dirt roads..... All right, these toys are a bit expensive for that... but wouldn't Honda CRVs and Toyota Rav4s be much more fun with wild paint jobs, big tires and rows of fog lights? Vince, money has always been the only drive for companies and always will be. Is this a CUV or a tallish four door hatchback? IOW, a compromise of a compromise between a sedan and a true SUV. If people become accustomed to driving from a high position, doesn't a normal sedan position make them feel vulnerable, to say nothing of the occasional head-bonking on entry. Then there are the joints and spines of advancing age. Looking way too much like a Maserati, and not enough like a Rapide or DB. That is not a compliment.